Prices may fluctuated by the time you read this article, the first short summary is the 3DS device offer 2X capacity at over 4X the cost. So, what 3DS, TSV stand for? TSV – Through Silicon Via, TSV is a technology that utilizes short vertical interconnections or “Vias” that pass through a silicon wafer in order to achieve greater space efficiencies and higher interconnect densities than wire bonding and flip chip stacking. 3DS – Three-Dimensional Stacked, a new DRAM interface and DIE stacking technology. The idea behind 3DS is to use specially designed and manufactured master-and-slave DRAM die, with only the master die interfacing with the external memory controller. How can you have a stack of 4 dies that only presents one load to the bus? The picture above helps to explain. 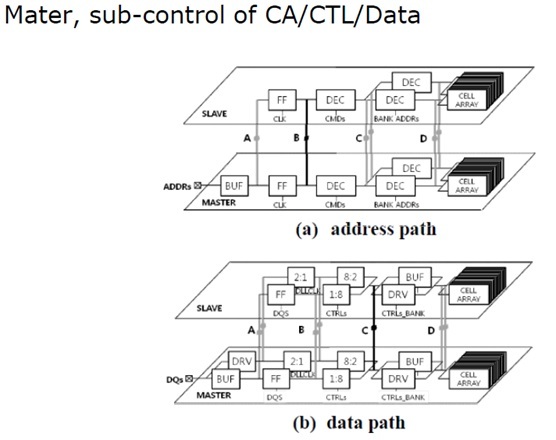 Inside the DDR4 3DS package, there is typically only one physical interface (Clock, Command, Address, Data, Data strobes …) on a master die that is connected to the outside of the package, and all the DRAM traffic to the master die and all of the slave dies inside the package go through that one physical interface on the master die. Inter-die communication within the stack from the master to the slaves is carried on TSV through the stack. – Building the highest capacity servers starts with the highest capacity DIMMs. – Providing more capacity in less unit volume compared to adding more packages or more DIMMs. 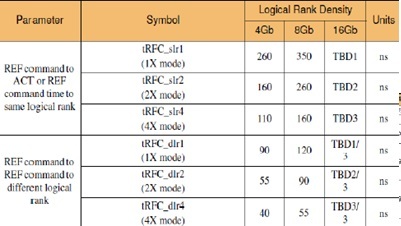 – Potentially improved performance compared to multi-rank solutions. – Adding capacity without adding bus loading. Reducing load on the bus will tend to decrease the power substantially and increase the maximum achievable frequency in that system. In conclusion, 3DS package presents a single load to the bus regardless of how many dies are in the stack. 3DS technology uses optimized DRAM die, single DLL per stack, reduced active logic, single shared external I/O, improved timing, and reduced load to the external world. This combination of features can improve timing, bus speeds, and signal integrity while lowering both power consumption and system overhead for next-generation modules.